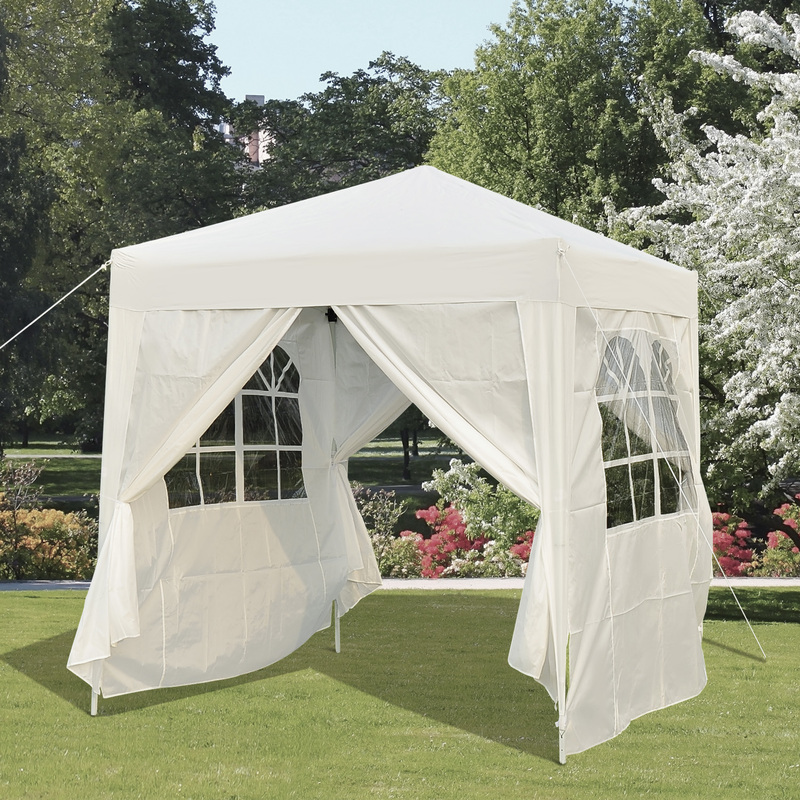 This 10’ x 20’ pop up gazebo is perfect for spring weddings or even flea market sellers looking for some sun cover. 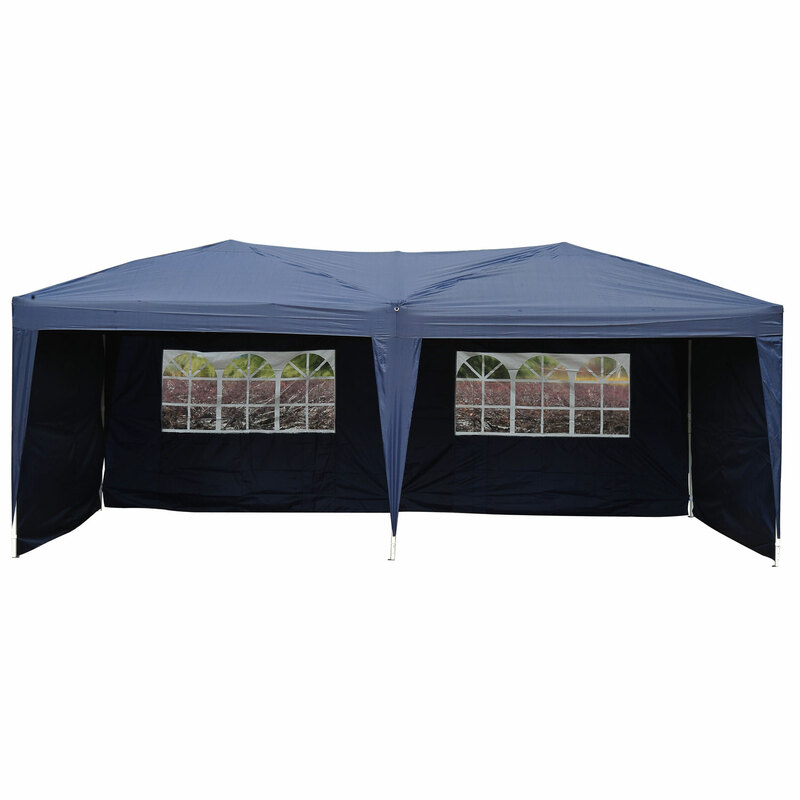 Pop up frame for easy transportation, UV protection, heat reducing, water and wind resistance cover, it is perfect for outdoor occasions, camping trips, family parties, weddings, picnics, sports events, outdoor commercials and more. The white powder-coated steel frame is durable and rust resistant. 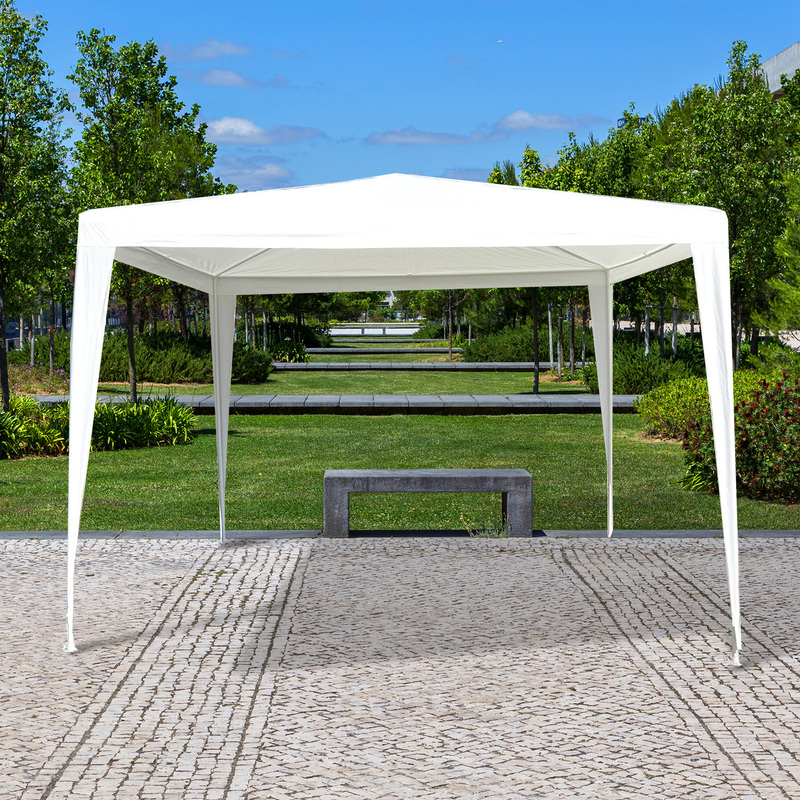 The canopy offers a lightweight design and telescoping legs that easily snap in place for quick setup and take-down. 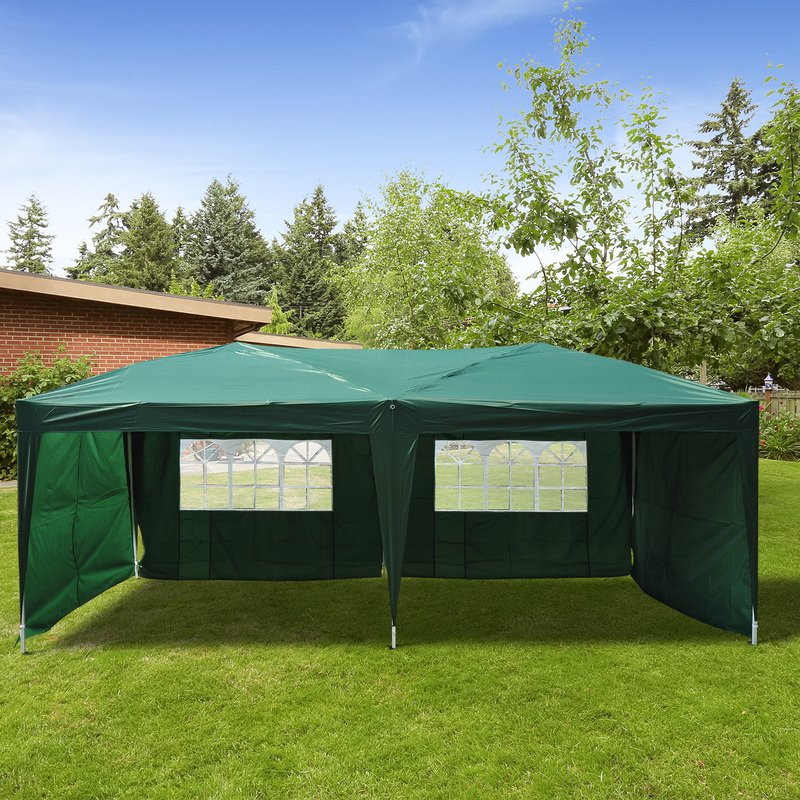 Features: ● Blocks 90% of UV rays ● Silver undercoating reduces heat ● Durable water resistant oxford cover, extra stronger than PE ● High quality, rust resistant steel framework ● Full 10 x 20ft straight leg design ● Lightweight and portable ● Comes with ropes and stakes for added stability ● Perfect for family gatherings, picnics, camping and tailgate parties ● ISO 9001:2000 standard certified manufacturer ● Easy to fold and set up, save space Includes: ● Carry bag ● Ground stakes ● Ropes ● 1-piece fitted full valance cover Specifications/Dimensions: ● Colour: White ● Over size: 10’ x 20’ ● Side height: 6.5ft ● Peak height: 8.3ft *Note: This item requires minimum 2 people to set-up. Please ensure that the item is set up properly and anchored tightly for maximum efficiency. 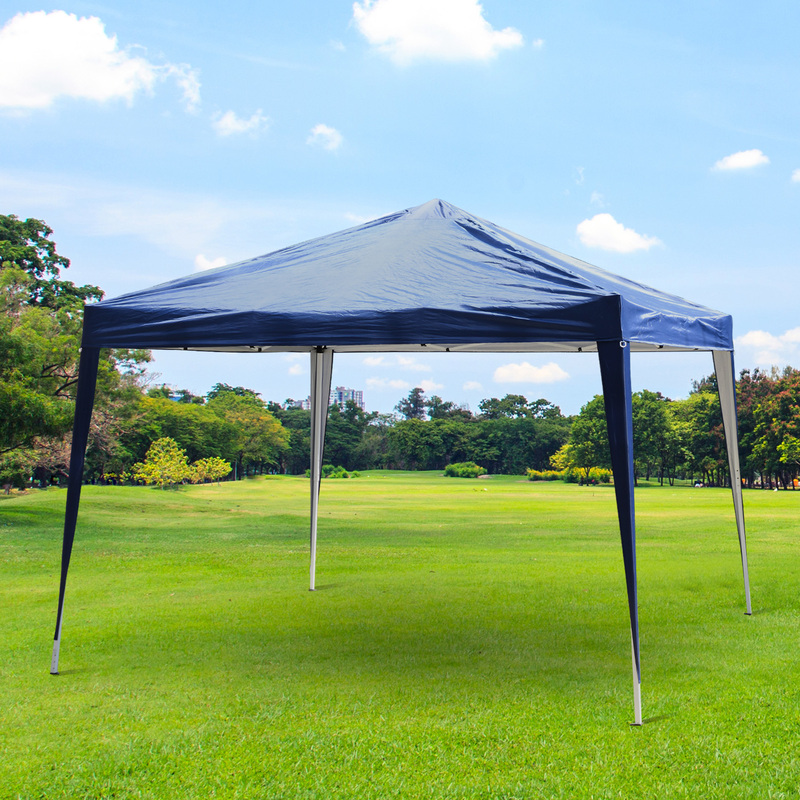 It is light duty tent and Aosom Canada is not responsible for any damage if left out in in windy or adverse weather conditions.